Welcome to Four Star Towing, and thank you for visiting us. 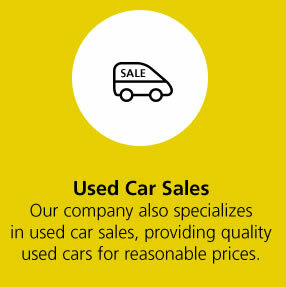 We have been serving the businesses and residents of Peabody for more than 50 years. At Four Star Towing, we offer many different services to meet the needs of our community, from 24/7 towing service to 24/7 roadside assistance. Whether you need a tow or you need lockout assistance, we are here to offer you the services you need, whenever you need us. We offer our customers a full service approach, which is why we have become the one-stop company for all your towing and roadside service needs. While our office is open from 8am to 5pm, Monday through Friday, our towing service is open for our customers 24 hours a day. 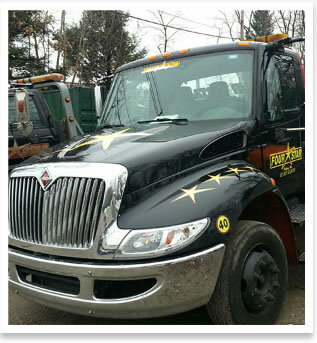 Four Star Service is a towing and roadside service that has been serving the city of Peabody for decades. Started in 1961, our family operated business has been offering quality service to local businesses and residents for over 50 years. Our company is on call 24/7, providing businesses, motor clubs, and the general public with the towing services they requite. We are also proud to serve the Essex County Sheriff Department, the Peabody Policy, The Danvers Police Force, the Lynnfield Police, and Massachusetts State Police. 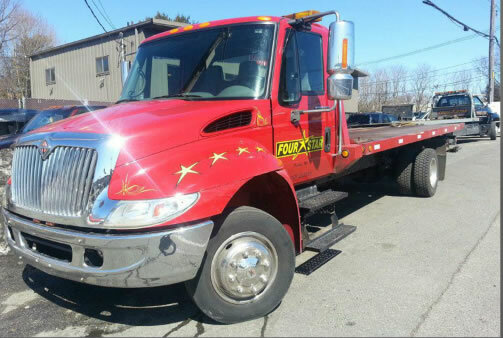 At Four Star Towing, we offer towing services for multiple types of vehicles. 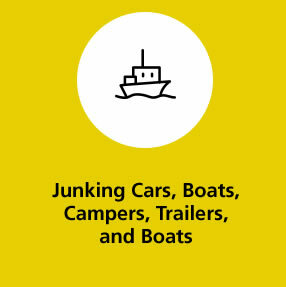 We tow motorcycles, antique cars, trailers, boats, modern vehicles, and more. We also offer moving services for farm equipment, storage containers, scissor lifts, tool boxes, and construction equipment. Our experienced drivers and customer service professionals are well-trained, courteous, and helpful, ensuring that each customer has a quality experience. Through the years, we have participated in many local civic events. Our trucks are often featured in parades, such as the Boston Pride Parade and the Lynn Christmas Parade. Our trucks have also made appearances in movies such as Grown Ups 2 and Furry Vengeance. We are active members of our community and have been involved in the Danvers Summer Park Programs, the Touch a Truck for the local community areas, St. John’s charity events, and we support the organization Heritage for the Bind. 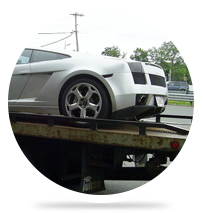 At Four Star Towing, we offer a variety of towing services to our customers. 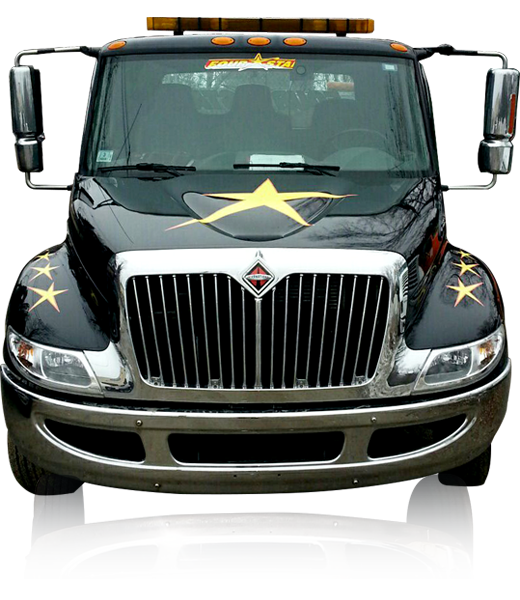 Four Star Towing also provides repair services to our customers. 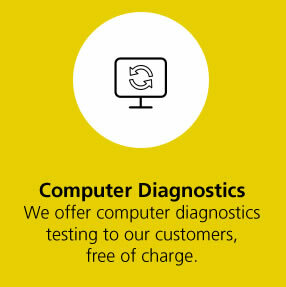 However, customers need to make an appointment for repair services. 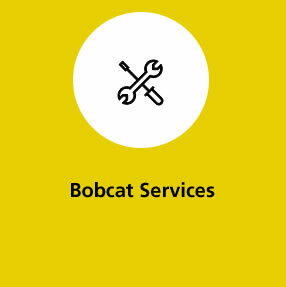 To find out more about the services we offer, or how we can meet your towing needs, you can contact us today.